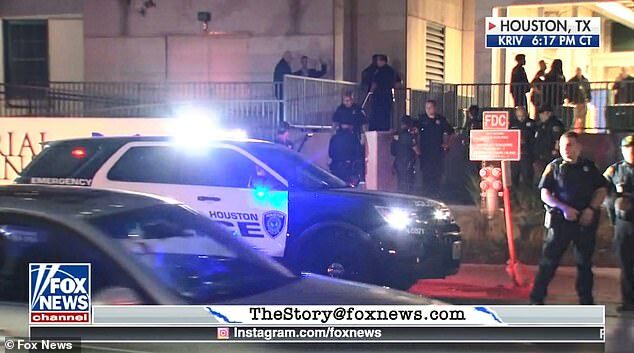 Four Houston police officers have been shot and another injured while serving a search warrant at a home where heroin was believed to be sold. 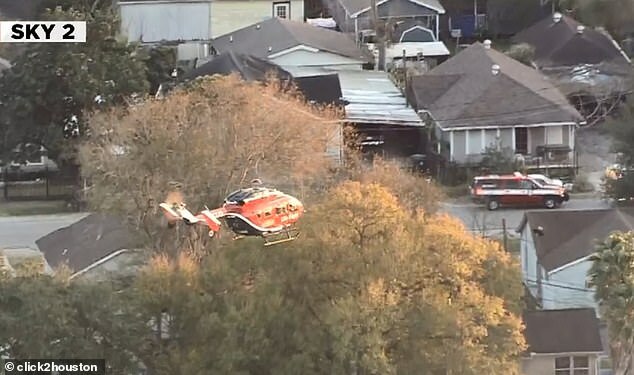 Police chief Art Acevedo confirmed two suspects were killed at the scene in southeast Houston during a shootout between the gunmen and officers which began around 5pm Monday. Two of the officers, ages 40 and 54, are currently in surgery and in critical condition after being struck in the neck, while the other three are stable. As of 7.30pm local time, police said the scene was secure. Acevedo said in a press conference that a group of 15 narcotic officers and six additional officers arrived at the home around 4.15pm. The team has reason to believe that people were selling black tar heroin from the home on Harding. 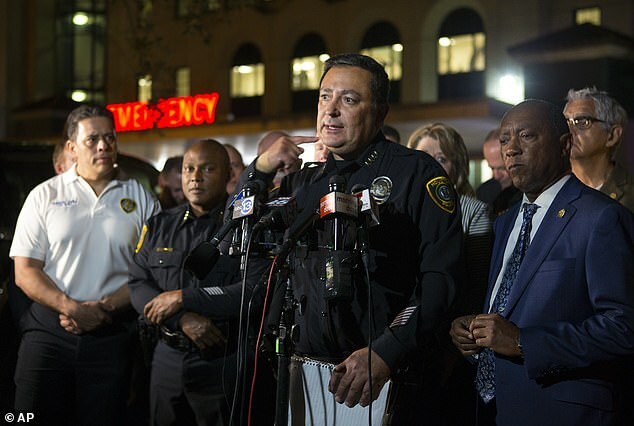 Acevedo said that officers announced themselves as Houston Police while entering the home. As they opened the door, officers immediately came under fire from either one or two suspects. One of the suspects retreated to the back of the room and returned to shoot at the officers. 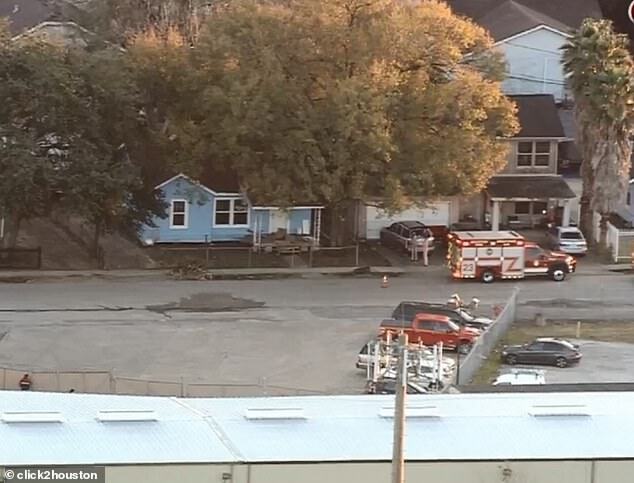 After the initial shootout, robots were used to go inside the residence and survey the scene. Both suspects were pronounced dead at the scene after being struck by return gunfire. This attack resembles the 2016 Dallas shooting that saw Micah Xavier Johnson ambush and kill five officers while injuring nine others. 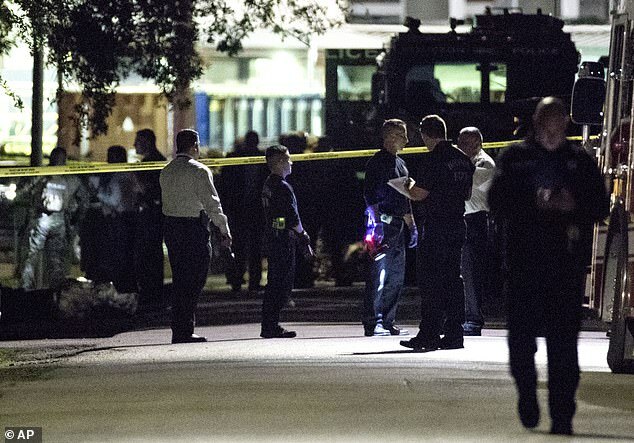 That shooting was the deadliest incident for US law enforcement since the September 11 terrorist attacks. 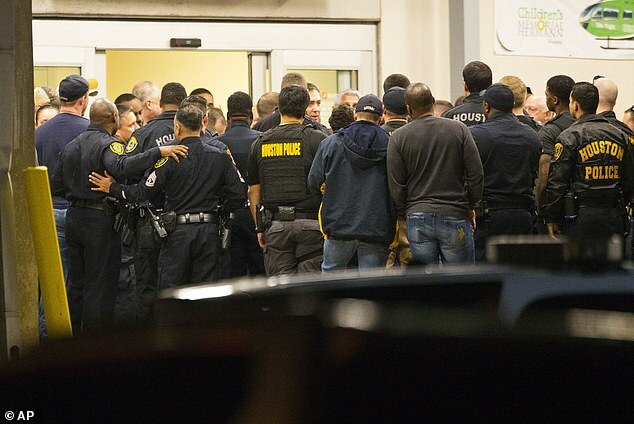 The officers are being treated at Memorial Hermann Medical Center and one is expected to be discharged tonight. 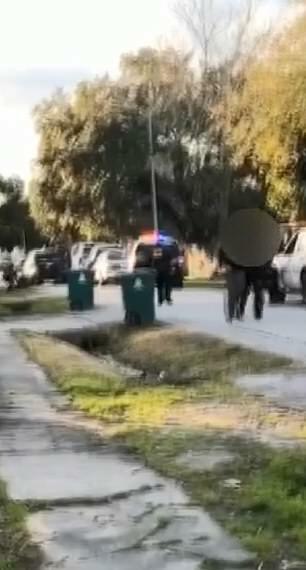 One woman Jasmine Castro lives nearby and said she heard about 15 rounds of gunfire in the neighborhood, according to ABC Action News. 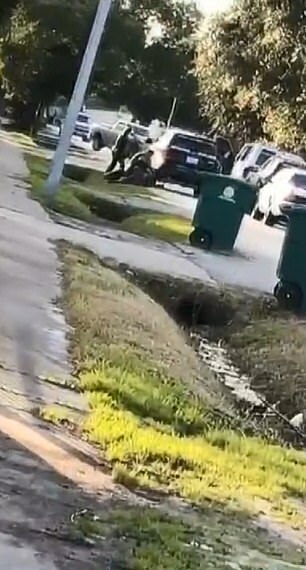 Video from one bystander shows officers on the ground and hit. 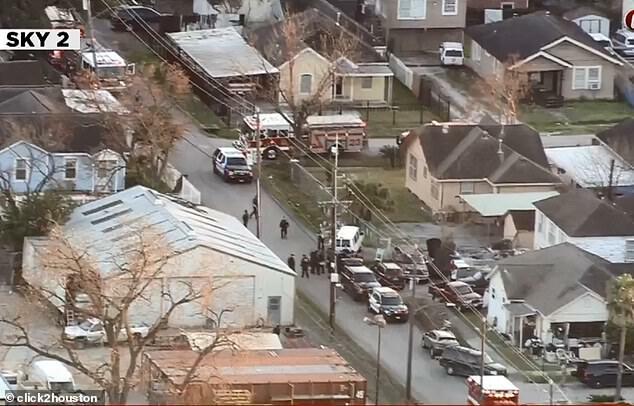 Harris County Sheriff’s deputies and ATF agents assisted at the scene. 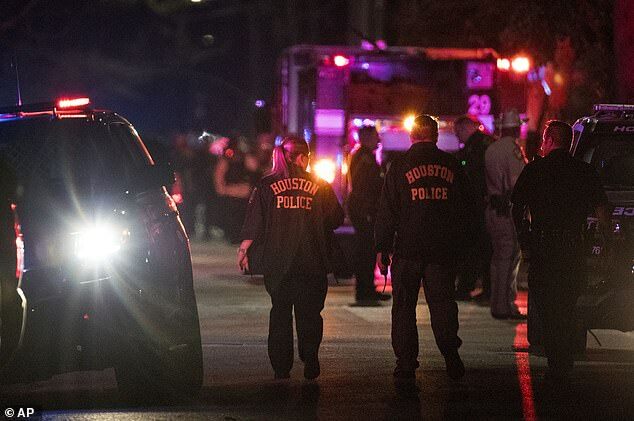 Houston mayor Sylvester Turner asked for prayers for the several injured officers.